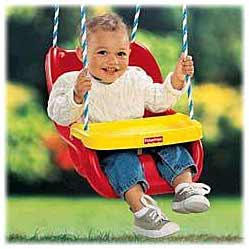 Size (inches): 11.81" X 15.75" X 23.62"
This Swing is as friendly to parents as it is to kids! 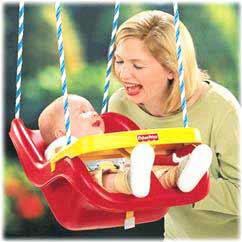 And now it can be reclined for use with infants as young as six months. A dual restraint system, with three-point harness and tray, keeps them secure. The tray holds toys or snacks, and lifts up out of the way for easy in and out.